Beer & Biking... Are You Sure About That? Sure, the idea of biking and drinking beer might sound ludicrous when you picture yourself swaying down the street like a clown from the Ringling Brothers Circus; but before you scoff at the idea know that Belgium is perhaps the only place to marry these two passions effortlessly. For cyclists, Belgium is a rider’s dream. With an idyllic landscape of rolling hills and colourful flatlands, biking across Belgium reveals historic castles, quaint towns and scrumptious outdoor dining. 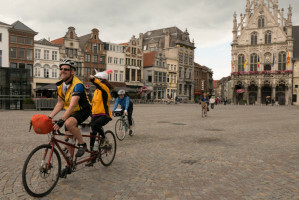 Why This Belgium Beer Bike Tour? For beer enthusiasts, Belgium is home to 1,130+ beers brewed in the country. From ales to lagers, wheat beers, brown ales, red beers to golden ales and saison beers, the beers in Belgium set the standard worldwide. On this nine-day biking tour, you’ll cycle through Belgium, hitting such iconic spots as Clervaux, Luxembourg and Bruges. 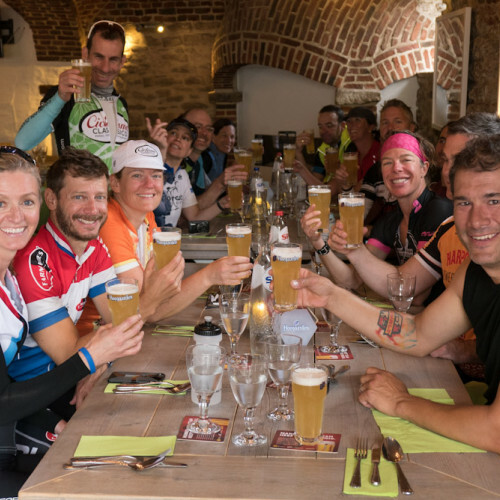 You’ll tour the UNESCO World Heritage Site of Leuven, visits three breweries (D’Achouffe, Hoegaarden, De Halve Maan) for complete beer tastings and pedal some of the “muurs” (walls) featured on the Tour of Flanders, one of the most charming pro cycling races in the world. It's a unique trip that--assuming you don’t drink too much--you’ll remember for ages. 9 days of cycling through the spectacular landscapes of Belgium. Visit World Heritage sites, historical cities, and - of course - breweries. Drink beer, bike away the calories. That's what we call finding balance in life.